Sometimes the search for a senior living community in Florida leaves older adults and their families wondering what type of care they really need. Is one of Florida’s independent living communities the best solution? Or does the older adult require a little more care and support and need the services that are found in an assisted living community? Understanding the similarities and differences between independent and assisted living communities can help you make a decision that best meets your loved one’s needs. Both of these types of senior housing provide older adults with an environment that supports quality of life. 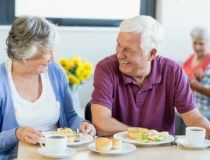 Communities are thoughtfully designed and have programs and services developed to meet the unique needs of older adults at different stages of life. 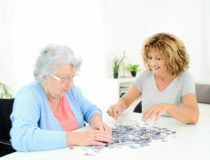 The Assisted Living Federation of America defines an assisted living community as one with the goal of providing care for an adult who requires support with the activities of daily living—grooming, bathing, and medication management, for example—but doesn’t need the type of skilled care found in a nursing home. By contrast, independent living communities are an attractive solution for older adults seeking to be free from the burdens of home ownership. Most want more time and increased opportunities to socialize, meet new friends, and travel. Residents in independent living communities typically require minimal assistance with personal care and daily tasks. Instead, the focus is on wellness programs, life enrichment activities, continuing educations classes, travel, and community outings. Both types of communities share the goal of helping provide residents with the support and services they need, as well as a sense of privacy and freedom. Residents are able to come and go as they wish, and loved ones can visit the same as they would if their family member lived in a private home. Both also provide families with the peace of mind that comes from knowing that their loved one is safe and supported. At Sonata Senior Living, another thing residents in our communities have in common is two unique programs: At Your Service, a concierge service designed to make life easier, and Live It Up, our proprietary wellness program. We invite you to call the community nearest you to set up a time to visit. We’ll be happy to help you determine what type of senior living community is the best fit for you or a senior loved one.